I was met with an empty shop when entering Goodwins in early July of this year. It was then around a 5 minute wait until someone realised there was a customer in the shop. An underwhelming welcome did little to make up for the wait. A large fish, chips, peas and gravy costs £8.50, so slighty more expensive than the average cost. The fish are all cooked to order and there's no doubt that the fish they serve up is one of the best in Crewe. The fish tasted great, but they chips were no better than ok.
ExitI paid with a £20 note and received £1.50 change! I queried this and she did realise her mistake and I do believe this was a genuine mistake on her part, but this simply added to the poor experience. Today, sees the reopening of the annual maize maze at Reaseheath College, returning for the 15th year. Each year sees a different theme, with this year's being a circus theme. The maze, along with the zoo, are open daily 10am until 5pm, from today until the first week of September. The main maze takes between 1 and 3 hours to complete and there is a smaller version of the maize for children. The Greggs store has reopened in Crewe town centre, following its refurbishment. The new store still has queues stretching outside of the front door, but there is now a small sitting area, so you can now enjoy your pies and pastries inside the store. Here are a selection of things to do/events in the Crewe area over the next few weeks. Feel free to contact us to add your own event to our listings. Our Twinkling Stars parent and toddler group for the under 5s has begun and it is open from 9.30am – 11.30am on Mondays and Thursdays. Places are already restricted, though, as we have a number of enthusiastic participants attending on a regular basis. However, if you would like further details, please contact Louise * (Manager) on 01270 – 580444 or admin@autismnetworks.org.uk. Model Railway Show & Miniature Railway Summer Gala Saturday 13th & Sunday 14th July 2013 Open times 10am to 16:30pm both days We Hope you can join us as there will be loads to see and do. A new regular car boot sale launches at The Market Shopping Centre in Crewe next month. The first car boot sale will start on Sunday 2nd June and will from then on run every Sunday throughout the summer. Traders will be able to pitch their stalls, starting from £5 per car from 7:30am, with the public able to enter the site from 8am. Every story starts somewhere... Cheshire East Youth Theatre members from Lyceum Youth Theatre, Alsager Youth Theatre and Sandbach Youth Theatre present Celebration 2013. This years theme for the performances is Storytelling. 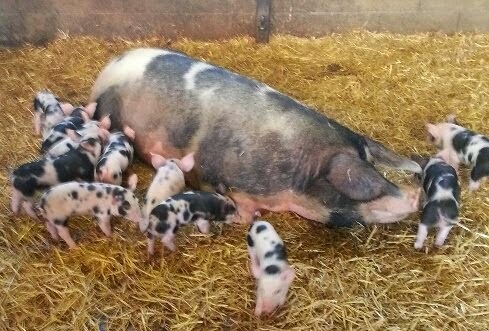 A new pricing structure is in place for Wheelock Farm this summer, which now sees you having to pay for children, regardless of whether they play on the adventure playground or are there simply to view the animals (which was previously free). The cost is now £2.50 per child. There is no cost for adults. The farm has added a castle maze slide to its wide array of activities for children, so I believe £2.50 is a reasonable cost to pay in comparison to more pricier activities. 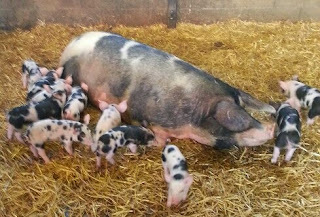 There are new additions to the selection of animals, as you can see from the picture above - a new breed of piglets! Local Listings will be launching a new Days Out Guide Website in the coming months, so we would like to take this opportunity to offer the chance to add your events to this website for free. Events in Cheshire and Staffordshire will be added to Local Listings Crewe as well as the new Days Out Guide.